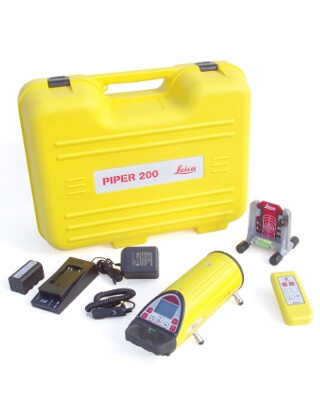 Powerful and compact, the Leica Piper is the only pipe laser that fits inside a 100 mm (four inch) pipe. It is built with solid cast-aluminum housings, and is loaded with features that will improve productivity and minimize downtime on the jobsite. The Piper is ideal anywhere line and grade is required. It has a large clear display that makes it easier for contractors to read grade, line position, battery status, and level indication. The intelligent battery monitors the amount of charge/discharge so that contractors always know how much battery life they have left. The Leica Piper’s bright, visible beam is focused to maintain its crisp, clear spot and size over long distances. Automatic grade compensation easily identifies and corrects grade errors. It automatically self-levels over a full grade range, and eliminates the need to tip the laser for steep slopes. 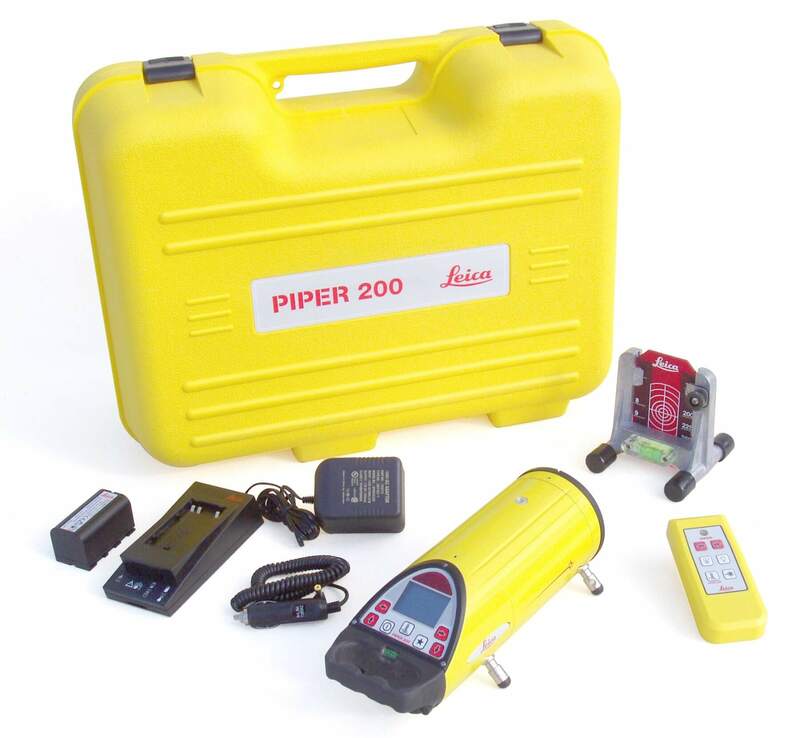 The Piper 200 features the Alignmaster function, a patented automatic targeting system that searches and finds the target for fast second day setups. GKL211, Charger BASIC, for Li-Ion batteries GEB221 and GEB211, car adapter cable and net adapter included.